Balaji joined as a Director Bharathi Cement in 2010. He manages Finance, Procurement and IT functions. In a career spanning over 2 decades, Balaji has wide exposure across the major sectors of Manufacture & Service, Viz., Textiles, Engineering, Chemicals, Multi-Media & Automotive, Event Management, ITES, etc. He’s also a Cost & Management Accountant having more than 20 years experience in Finance, Accounts, Treasury and Management Accounting. 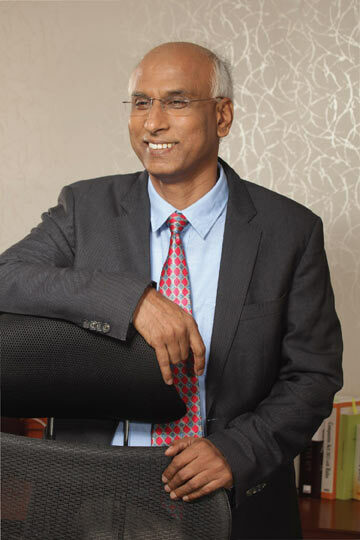 He has an Honours in Commerce from Nagarjuna University with a fellow membership of the Institute of Chartered Accountants of India and holds a solid record of academic credentials.